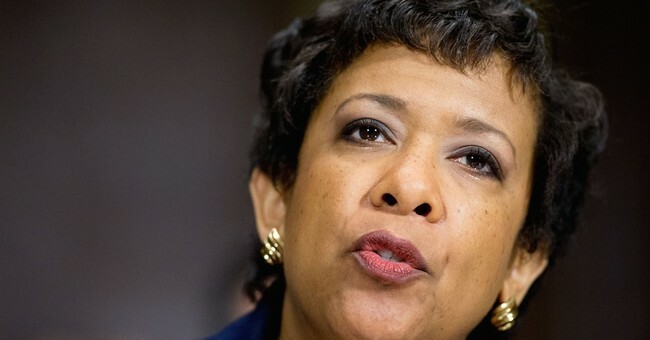 Senators to Loretta Lynch: No, You Cannot Punish Climate Change "Deniers"
Two months ago Attorney General Loretta Lynch admitted during congressional testimony that Justice Department attorneys were looking into punishment for the fossil fuel industry and certain individuals, including academics and researchers. Their crime? Rejection or denial of climate change and therefore being opposed to President Obama's agenda on the issue. Today, five Republican Senators have sent a letter to Lynch reminding her that in America, we don't have thought police and the Justice Department doesn't have the power or authority to punish an entire industry because the people in it they think differently than the progressives in charge of the government. "We write today to demand that the Department of Justice immediately cease its ongoing use of law enforcement resources to stifle private debate on one of the most controversial public issues of our time --- climate change," the letter states. "As you well know, initiating criminal prosecution for a private entity's opinions on climate change is a blatant violation of the First Amendment and an abuse of power that rises to the level of prosecutorial misconduct." The letter also notes that Democrat Attorney Generals around the country have been issuing subpoenas to private companies, scientists and academic researchers demanding any and all documents referring to "climate change, greenhouse gases, carbon tax, or climate science." "These actions provide disturbing confirmation that government officials at all levels are threatening to wield the sword of law enforcement to silence debate on climate change," the letter states. The Senators have asked the Department to end all investigations and inquiries into climate changes "deniers" within 14 days.